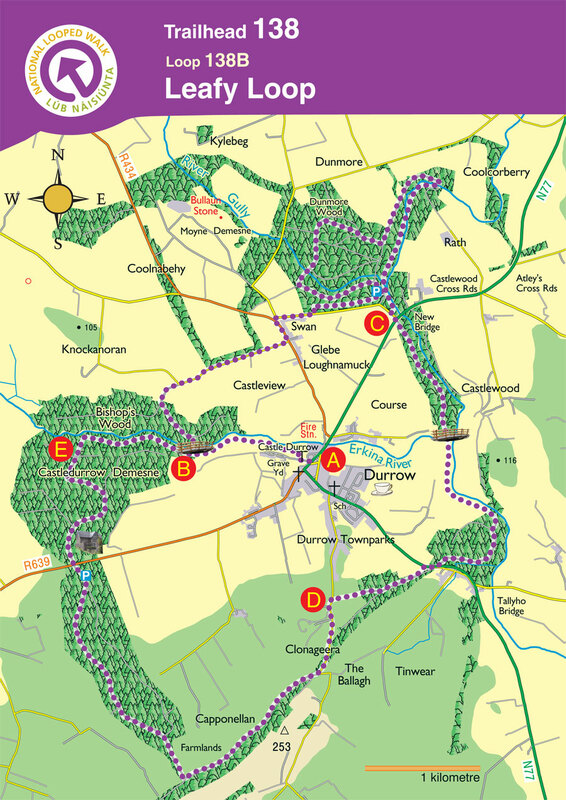 Walking In Durrow - Leafy Loop Route Map - Dunmore Wood - Knockatrina. Below is a map of The Leafy Loop, Durrow. Most of the walks featured on this site are found at various different points along the Leafy Loop route. There is also a route planner situated for the Leafy Loop trail, on the village green, Durrow. 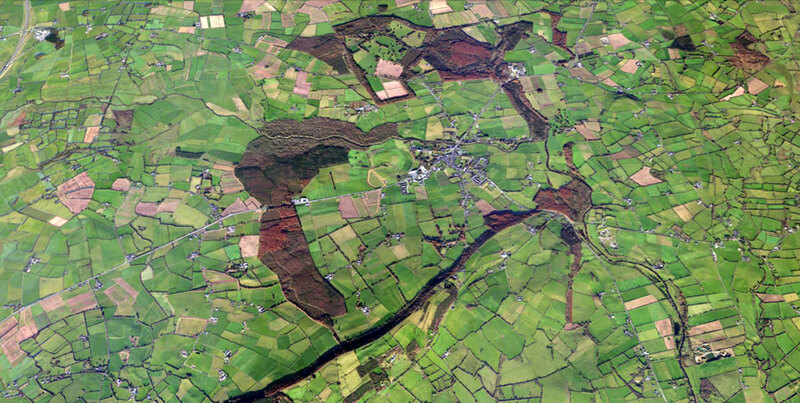 Aerial views of Durrow village, and its surrounding woodlands which make up the Leafy Loop trail. Aerial View of Durrow and Leafy Loop.